Our LED Corn Hole Game is taking tailgates or backyard games that is taking the San Francisco, San Jose, East Bay, Monterey Bay, Bay Area By Storm. 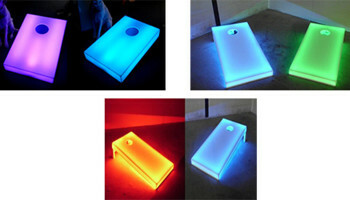 Our LED Corn Hole Game Backyard Game Is Now Available At Let’s Party. The Perfect Game For Your Corporate Get Together, Trade Show Booth, Tailgate Party, College Game Day Event, Or Even For Your Church Function. Whether you rent one set or multiple sets for a tournament we have you covered to make your event something your guest will remember. Our LED Corn Hole Game Rental Is Similar To Horseshoes. (Really Safe For Adults Or Kids) If Your Playing With Just Two Players, Throw From The Same Side Then Walk Over To The Other Side After All 8 Bean Bags Have Been Tossed. If Your Playing Our LED Corn Hole Game Rental With 4 Players You Stand Across From Your Teammate And Compete Against Your Opponent. To Score Points You Must Land Your Beanbag On The Board To Score 1 Point And If You Are Talented And Make It In The Hole That Will Score You 3 Points. The First To 21 Points Are The Winners. We Can Provide The Rules To Help Out. 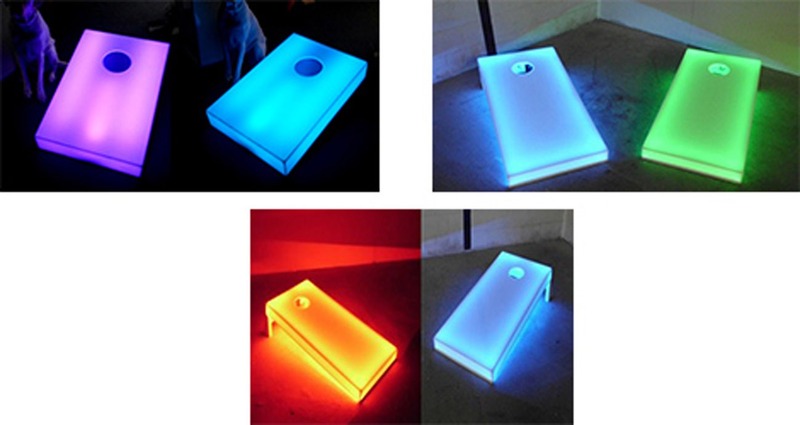 Our Led Corn Hole Game Rental Sets Us Apart From The Other Corn Hole Games Out There. We Can Customize The Colors To Your Favorite Bay Area Sports Team Or Any Favorite Color Of Your Choice. Our Corn Hole Works Great Night Time Or Works Great During The Day Also.